Being a homeowner provides many benefits alongside many responsibilities. Your main responsibility as a homeowner will be the upkeep and regular maintenance of your home and its various systems. You’re going to want to contact a professional to help you remedy many of these maintenance tasks. Here are seven handy local services for your home that you will need for at one point or another. The windows in your home serve several important functions. They provide you with a beautiful view of the outdoors, protect your home from extreme weather, and allow warm and beneficial natural sunlight to stream into your home on a daily basis. Unfortunately, your windows are also rather delicate. Many things, both in your home and outside of your home, can damage or weaken your windows. These potential incidentals will happen unexpectedly, leaving you with little to no warning. In such an event, you will want to have the information of a local window repair and replacement service professional handy. Keeping this information handy will allow you to make a call to your chosen window repair and replacement specialist on the same day as the incident. This results in an expedited repair or replacement appointment to get the problem fixed as quickly as possible. 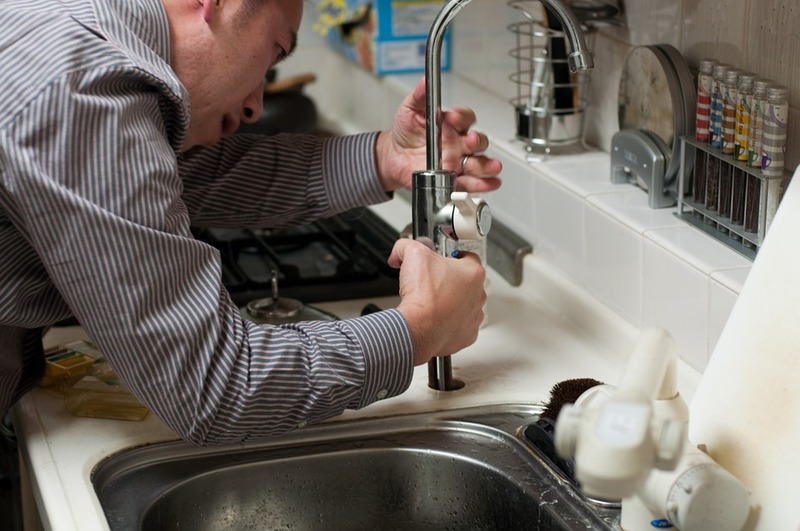 Out of all of the internal systems that provide external services to your home, your plumbing is the most vital. It is also the most destructive system when it’s malfunctioning or damaged. Malfunctioning or damaged plumbing can lead to water leaks, damaged walls, weakened floors, outrageous water bills, and flooded rooms. All of these eventualities can cost thousands of dollars to repair. You can prevent these damages and the accompanying expenses by having your plumbing inspected regularly and having routine maintenance performed. While there are a few inspections and maintenance tasks you can perform yourself, it’s best to leave the entirety of your plumbing maintenance to a professional plumber. In case an unexpected leak or clog occurs, you should keep the number and name of a local professional plumbing service handy. Family movie night, clean clothes in the dryer, a nightlight to safely illuminate the upstairs hallway, and last night’s pizza heating in the microwave – none of these comforts and conveniences would be possible without electricity. Electricity is one of the most essential utilities you have in your home. It’s brought to every single wall outlet via carefully structured bundles of insulated wires within the walls of your home. There are a few things that can damage the integrity and functionality of the electrical wires within your wall. Pests are a common cause of damaged or faulty electrical wires. Mice have a tendency to chew through electrical wires, disrupting the flow of electricity. Normal wear and tear will also cause your electrical wires to perform below their optimal level. Old electrical wiring is a common cause of many electrical outages. If your home is old or if you’ve recently experienced a pest infestation, it is important that you keep the contact information of a quality electrical services provider handy, like CLF Services. You never know when you’ll experience electrical issues in your home and will require the immediate expertise of a quality electrician. The roof on your home is your family’s first line of defense against inclement weather, outdoor critters, and falling debris. Considering all of the punishment and battering your roof endures on a daily basis, it’s a wise idea to keep the information of a roofing specialist handy. A roofing specialist should be hired to inspect your roof routinely to check for damages, weaknesses, missing shingles, and other roofing issues. While your roof was designed and built to endure years of use, it’s best to err on the side of caution and utilize the expertise of a roofing professional. There’s little dispute over how the appearance of your yard can affect the opinions of your neighbors. Having a beautifully maintained front yard can dramatically increase your home’s curb appeal. Certain affluent neighborhoods will also have a Homeowner’s Association that lays out specific guidelines for how the outside of your home and property should be maintained. Keeping the information of a professional landscaping service handy will benefit you and your standing within your neighborhood immensely. As an added bonus, if you live in an area of the country that receives heavy snowfall, your landscaping specialist might also offer snow plowing and snow shoveling services. Whether you’re adding a new room onto your home or wanting to rebuild your garage, keeping the name and information of a quality home contractor will prove to be of great use to you. Building additions to your home or deciding to renovate parts of your home can be daunting and expensive endeavors. It is important that you properly research any contractors that you’re taking into consideration for your construction jobs. Be sure to check their online reviews, business credentials with the Better Business Bureau, business insurance, and any other relevant information before hiring them. When you find a contractor that is legitimate and suits your construction needs, take note of their information and keep it somewhere safe for future use. Your heating and cooling systems play vital roles in the health and comfort of your home. Other than conditioning the interior air of your home to fit the extreme temperatures of the season, your HVAC system also filters your air. This means that it’s one of the main household appliances that manage your indoor air quality. You want to ensure that these systems are in optimal working order and undergo regular maintenance. It is suggested that you entrust this crucial task to an HVAC services professional. A quick search for local HVAC service professionals will net you a series of names and numbers. Keep these results handy in the event that your furnace or air conditioning system malfunctions during an inopportune time.